Product information "Die drei ??? 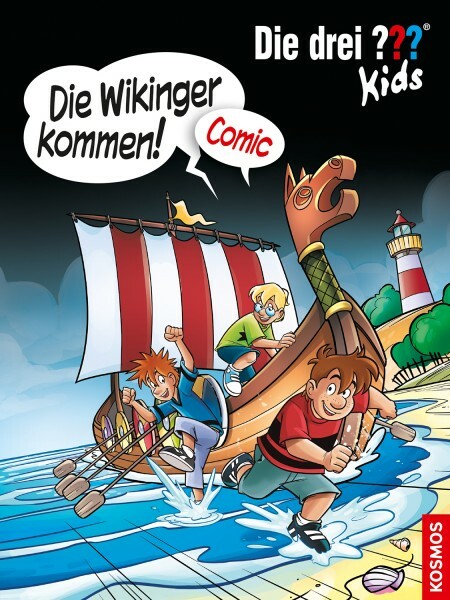 Kids, Die Wikinger kommen!" A nasty ghost steals from poor senior citizens, evil crooks spoil the fun in the aeroplane museum and a strange chocolate monster ruins even Jonas’ appetite even. These intricate comics cases require all of The Three ??? Kids’ ingenuity; readers, too can guess the tricky puzzles. Fascinating reading material for all friends of comics and fans of Justus, Peter and Bob.